The innovative smart control dial is designed to offer a smarter, more efficient way of cleaning. Please note that this item is sold as a machine only & does not come with the charger,wall bracket or any accessories. Ideal as a like for like replacement or a spare 2nd machine. The Vax Blade has a rich, contemporary design which, combined with a 32V lithium battery and our new direct Helix technology, delivers the power and performance of a corded vacuum. The lithium battery delivers a powerful 45 minute run time that holds a level of high suction throughout its battery life, giving enough time and performance to clean the whole home on one single charge. The innovative smart control dial is designed to offer a smarter, more efficient way of cleaning; instantly informing you of how much power you have left. 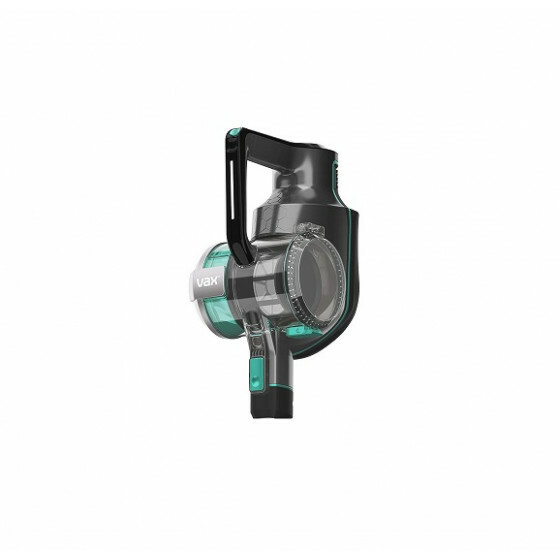 Vax's new direct Helix technology has been designed to provide a direct air path from the floor to the cyclone, maximising performance and efficiency. 20 to 45 mins running time.